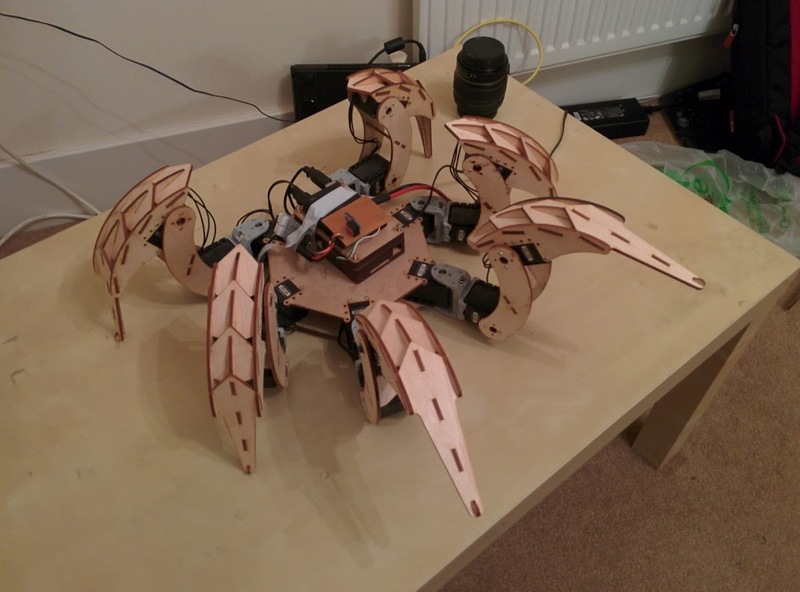 So the new Hexapod hardware has been in use for a few weeks now. Thought you guys deserved some pictures of it assembled. 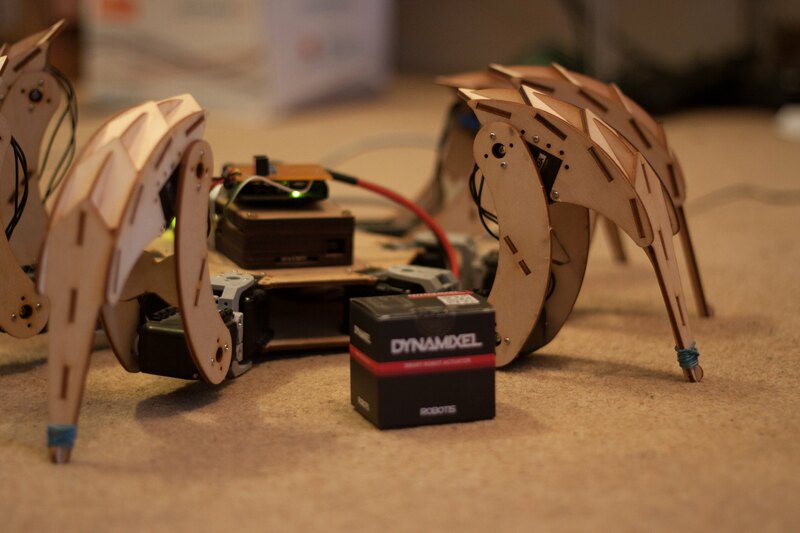 The hardware has bump stops so that it does not damage servos when in a closed position. 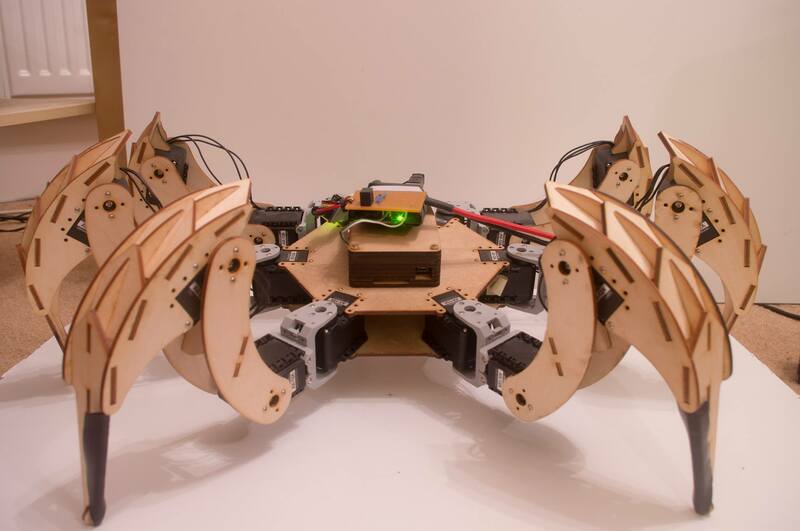 Stance used when manipulating objects, standing on 4 legs, weight shifted backwards. And some more artistic photos . . . . 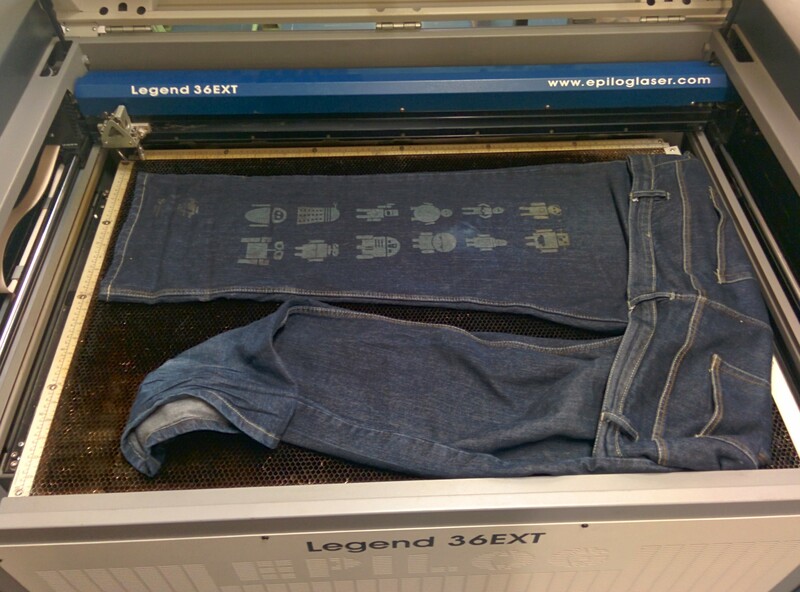 So this morning I was casually browsing the Epilog (laser cutter) website when I stumbled accost a testimonial that said “We have engraved everything from denim to acrylic with fantastic results”. I was instantly intrigued. The idea of being able to easily make professional looking custom clothing is amazing. I quickly grabbed the closest pair of good jeans plus an old ripped pair to test on. Whilst looking for a simple pattern to etch I remembered these designs by mattcantdraw. With a little rearranging these designs were perfect. 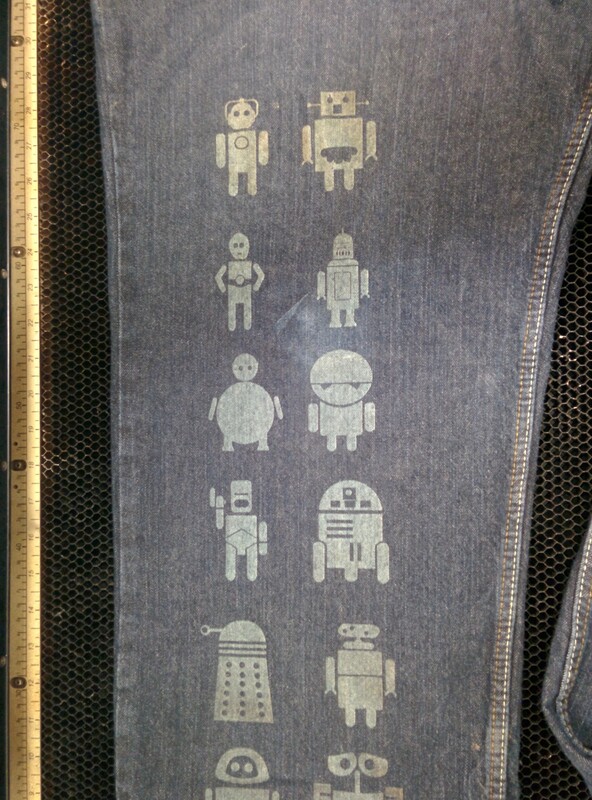 I did some tests on an old pair of jeans to find the right power level as I could not find any settings for this online. I started using the same setting that would be used to etch leather however quickly found that this was to powerful and made the material break apart easily. I finally settled on 100% speed 15% power on a 75Watt laser. I had some trouble fitting the jeans into the cutting bed and found that things had to sit flat so that I did not obstruct the gantry or cutting head. I’m actually very pleased with how this turned out, the effect produced looks like natural fade, but only in specific areas. I love that these jeans have gone from boring ‘off the shelf’ to something interesting and individual. From now on I will be keeping a look out for other designs that would work like this. 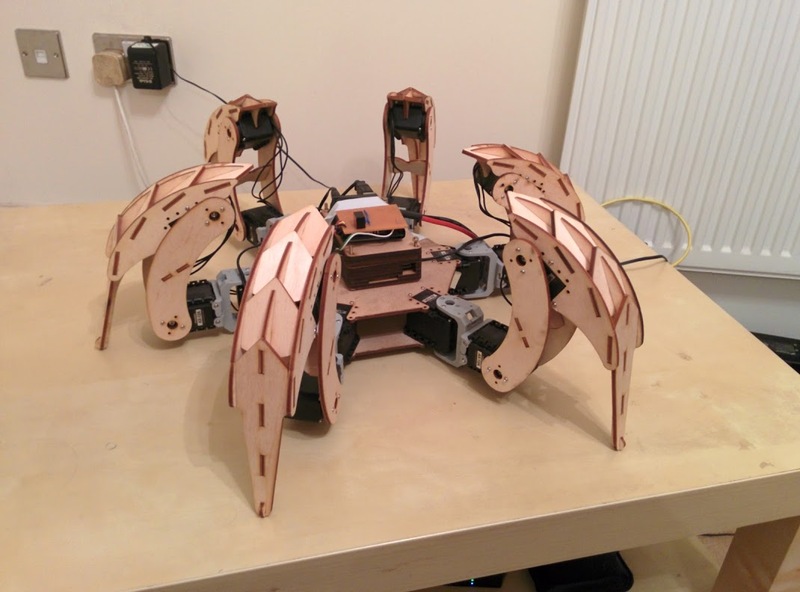 Recently iv been working on a 2nd revision of the chassis used for my hexapod. So far I have redesigned the legs and have a clear idea of how the new body will look. The new design focuses on increasing the range of motion, functionality and reliability. I have also been trying to get rid of the ‘prototype’ look of the old design in favour of a sleeker and more stylised appearance. 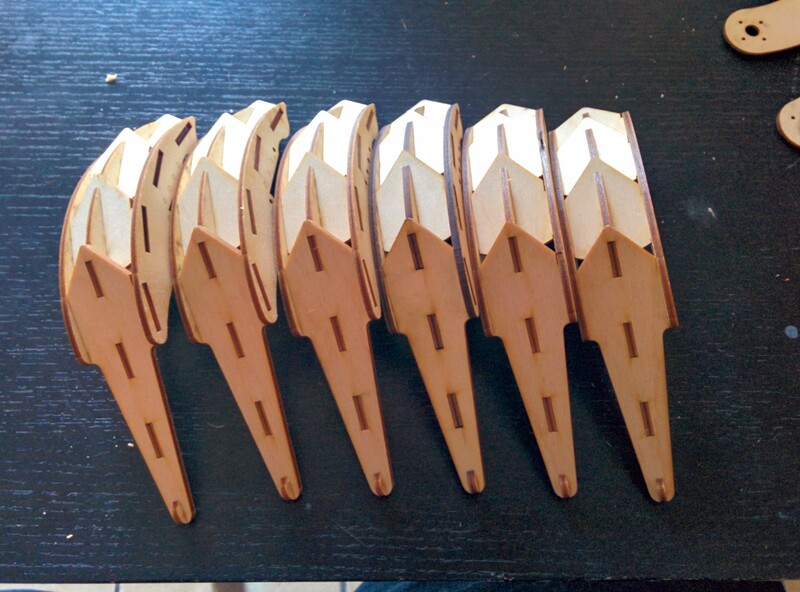 These parts have been laser cut and are now awaiting a sunny day to get painted. I have also painted a spare leg in the planned colour scheme as a tester. This is slightly messy due to the fact that it was painted whilst assembled, the new legs will be painted before assembly so this should not be an issue. 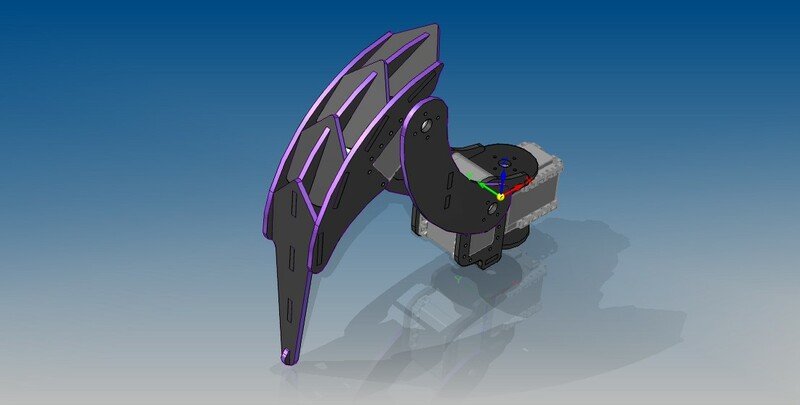 The long-term plan is to eventually release all of the designs for this hardware as open-source. 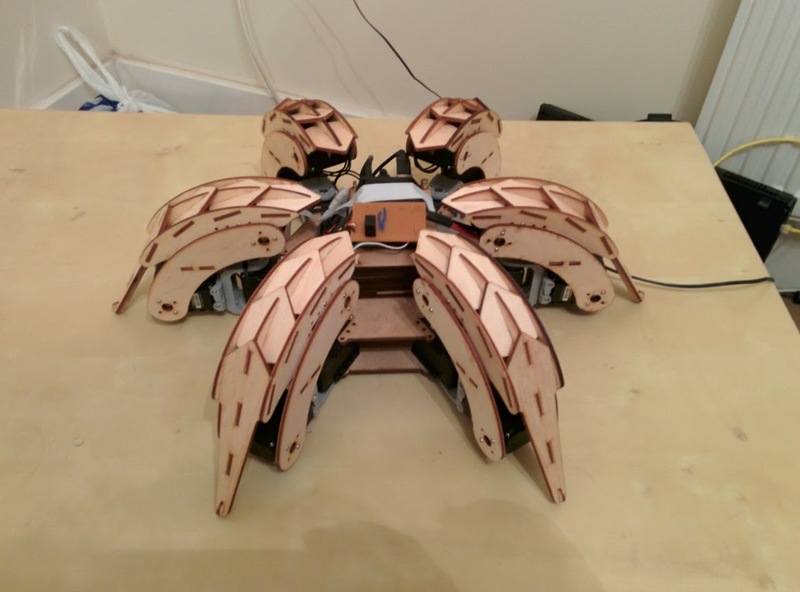 This will probably happen once I have finished the hexapod and am happy with all parts of the design. Hopefully that will not be to far away but development is slow at the moment with many coursework deadlines approaching. 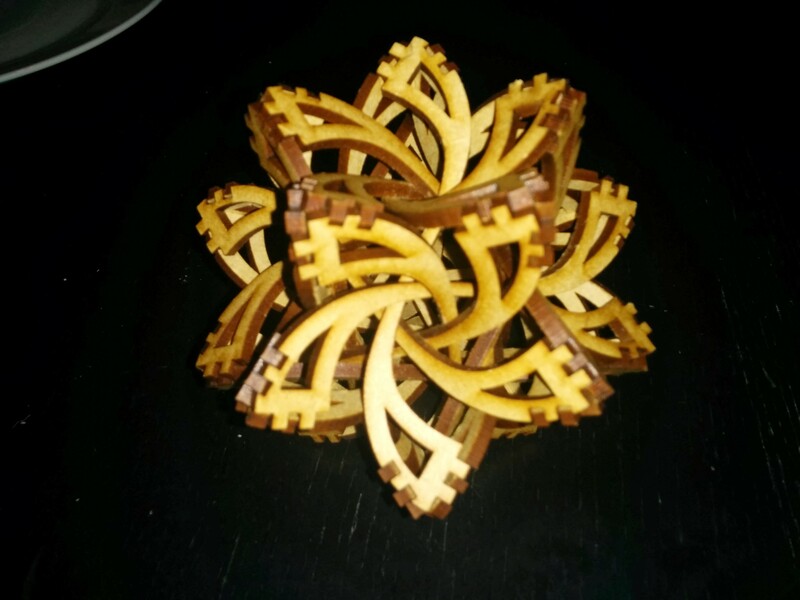 I have just been trained to use the UWE Laser Cutter. 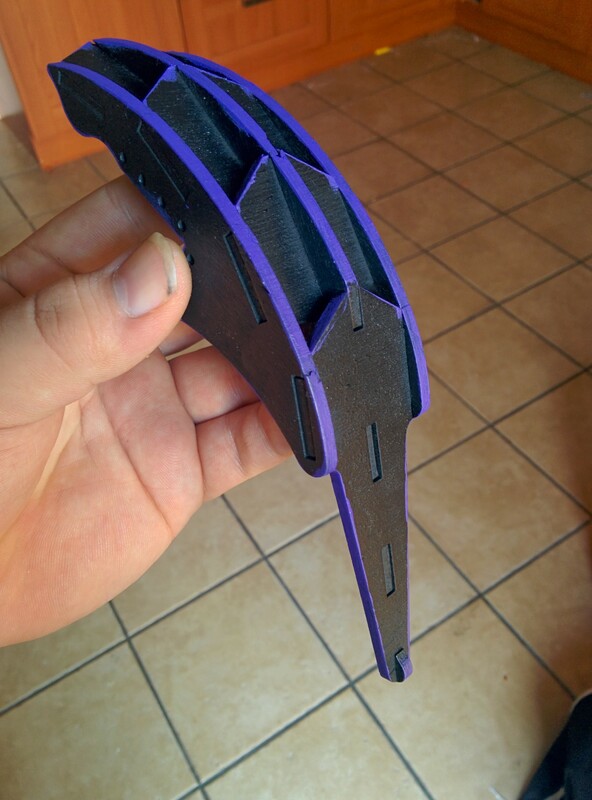 first test peice was a Frabjous Sculpture (http://www.thingiverse.com/thing:12271). Turned out ok. I have so many ideas for things to make and up until now I have not had the resources to make most of them happen. I’m hoping access to this equipment will change that and allow me to rapidly prototype ideas and concepts. IM GOING TO MAKE SO MANY THINGS !! !